Furthering its commitment as a Founding Partner of the 2014 Special Olympics USA Games, Toys“R”Us announced the February 1 launch of a nationwide in-store and online awareness campaign. By texting “CHEER” to 80888, customers can make a $5 donation via their mobile device that will help support Special Olympics athletes participating in the “Games of Welcome and Acceptance” being held in New Jersey from June 14-21. Toys“R”Us was the first Founding Partner of the 2014 Special Olympics USA Games with a $1 million grant from the Toys“R”Us Children’s Fund, a public charity affiliated with the company. The company will serve as the presenting sponsor of the first-ever Young Athletes Festival at the 2014 USA Games, which will provide opportunities for children ages 2-7, and their families, to take part in the Special Olympics Young Athletes Program. 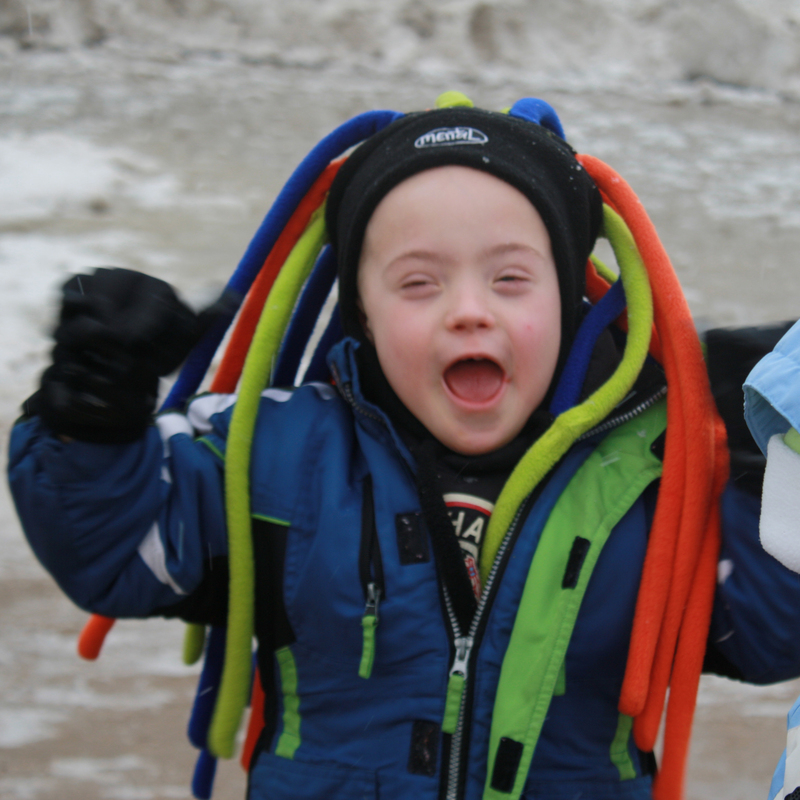 This inclusive, innovative play program for children with and without intellectual disabilities helps kids develop critical early cognitive, social and motor skills and introduces them to the world of sports. Jack is one of those athletes. Born December 8, 2005 with Down Syndrome. Jack was in the NICU for 4 days with breathing and eating challenges. Fast-forward a few years and you can see Jack as a loving, lively little toddler that loves to play “ball ball” and looks forward to his Young Athletes sessions. In the spring of 2009 his family started a Young Athletes program for the far south Chicago suburb area. Jack and his little sisters, Sophia and Mary, look forward to Young Athletes sessions, love seeing all of their friends and building their athletic skill. Jack has an insatiable appetite for playing catch and batting. 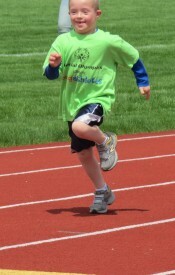 He is now 7 and has begun his transition into the traditional Special Olympics Program. 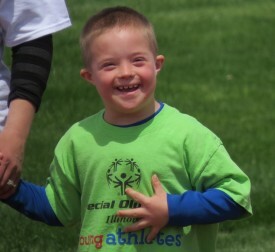 He has been showcasing some of the skills he has learned through the Young Athletes Program at Winter Games, State Basketball, Summer Games and the Outdoor Sports Festival. 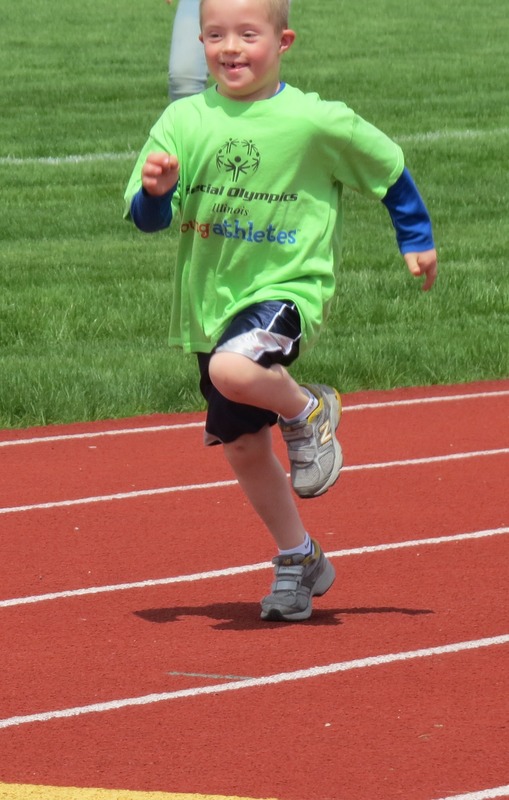 He is looking forward to all of the many opportunities to participate in Special Olympics for many years to come. From February 1 through March 31, signage in Toys“R”Us and Babies“R”Us stores nationwide will encourage customers to text “CHEER” to 80888 to make a $5 donation via their mobile device to the 2014 Special Olympics USA Games. Donations will help more than 3,500 athletes go for the gold at the Games in New Jersey this June. 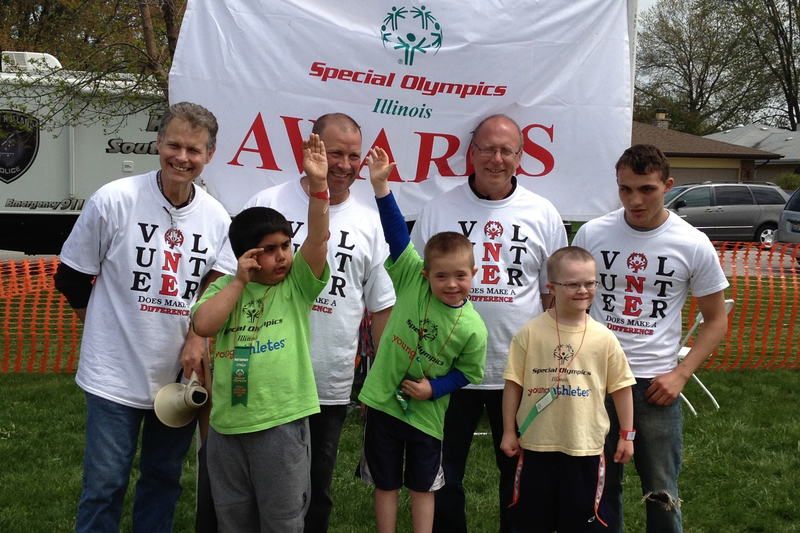 The signage features three participants in Special Olympics’ Young Athletes Program – Traigh of Wisconsin, Kailani of New Jersey and Jack of Illinois – showcasing the future stars of Special Olympics. Last June, Toys“R”Us began its one-year countdown to the Games by encouraging its fans and followers on social media to #CheerOnAChampion and learn about Special Olympics’ Young Athletes Program and its inspiring participants across the U.S at Toysrus.com/2014SpecialOlympics. Visitors to the site can “meet” Young Athletes from across the country via an interactive map and learn how the Young Athletes Program is helping kids achieve their personal goals. Throughout the coming months, the company will profile Young Athletes from various states on its official Facebook and Twitter pages, shining a spotlight on the personal goals attained every day by these determined athletes. In addition to being a Founding Partner of the 2014 Special Olympics USA Games, Toys“R”Us will also serve as the Presenting Sponsor of the Law Enforcement Torch Run, during which more than 100 law enforcement officers and Special Olympics athletes from all 50 states will take part in a multi-day torch run leading up to the Games’ Opening Ceremony on June 15.